There’s something magical about the color pink. Just the word “pink” brings to mind several connotations from princesses and Victoria’s Secret merchandise to breast cancer. Unfortunately, the football players have ditched their pink attire and the yogurt lids will soon return to their normal colors, but there is an easy way to support breast cancer research and awareness year-round. The energy drink “her” (“healthy energy revolution”) was the first energy drink I came across that indicated a charitable donation on their label. The label indicates, “5% of net proceeds will be donated to charity” but it’s unclear exactly which charity. If we trust Wikipedia (and I never let my students use this free encyclopedia as their primary source), her energy donated to numerous organizations including the Susan G Komen foundation and MADD. Then again, they also tried to get Lindsay Lohan out of jail using signs that stated “Free her“. I almost want to give them points for being clever. Almost. The whole scenario is a bit sketchy and since that drink’s website has been replaced by a site that reminds me how much Japanese I can still read, let’s discuss a different energy drink. You’ll get another one. A better one. That one. 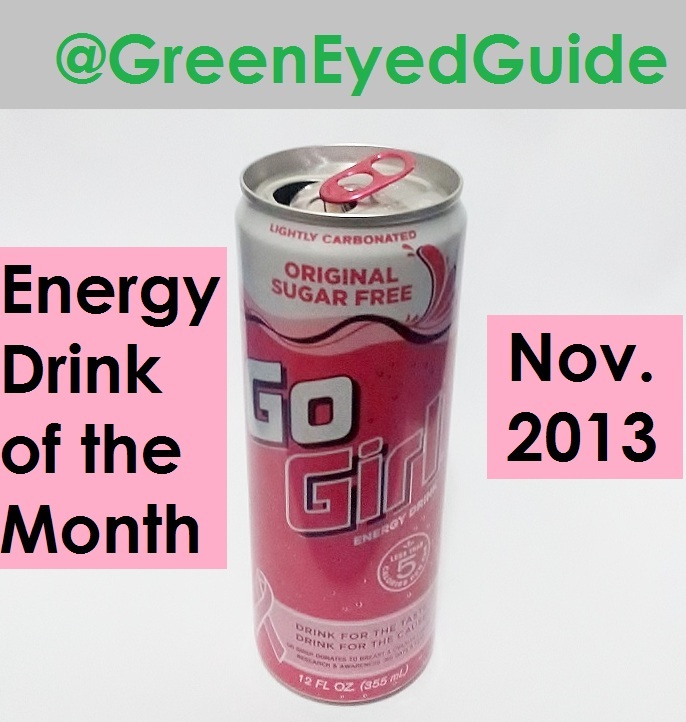 There are some women who aren’t so pleased with this energy drink, like this sarcastic blogger here (Ms Magazine’s sarcastic blogger) but allow me to address some of the points of contention and highlight why I’ve chosen Go Girl Energy Drink as the Energy Drink of the Month for November 2013. As the sarcastic blogger pointed out, $0.50 from every case of Go Girl energy drink sold is donated to breast cancer research, awareness and prevention. This fact is corroborated by Go Girl’s website: Go Girl Energy – The Cause. When ‘Like’ or ‘Share’ Isn’t Enough. Sometimes marketed as “Super-citrimax”, garcinia cambogia contains hydroxycitric acid (HCA) and was one of the suspected ingredients behind the Hydroxycut recalls in 2009. Those recalls were due to the threat of liver damage linked to Hydroxycut products, but it’s critical to note the difference between linking an ingredient with a side effect and linking the finished product with the side effect. 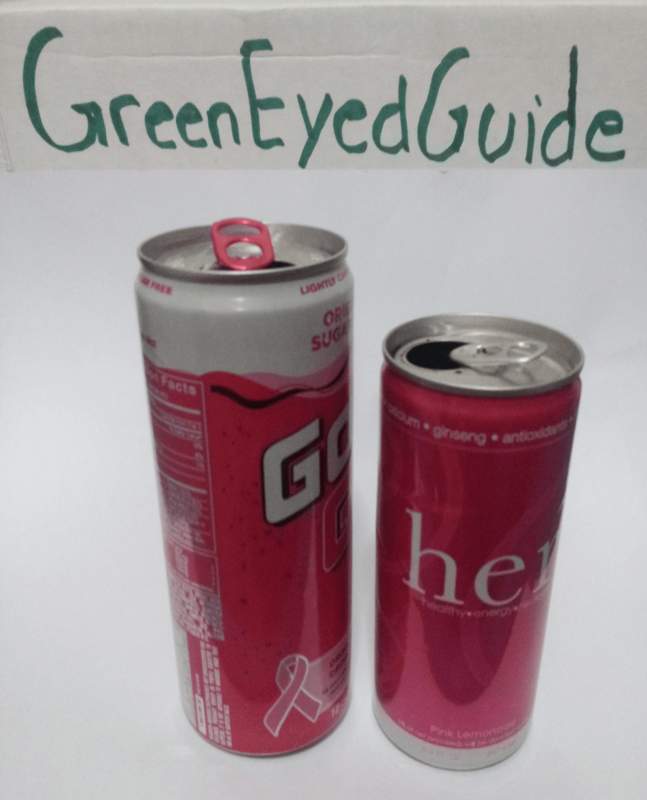 Toxicology studies indicate up to 2,800 mg HCA per day is safe for consumption; Go Girl only contains 200 mg. .
With a reasonable but not overpowering caffeine dosage, no added sugars, no over-zealous vitamin contents and only 1 serving per container, Go Girl is one of the better alternatives for the energy drink consumer. Like its caffeine content, the charitable contributions are not overwhelming, but not negligible. This product is a Level 3 in the 5 Levels of Fatigue from the book Are You a Monster or a Rock Star: A Guide to Energy Drinks. : Safety assessment of (−)-hydroxycitric acid and Super CitriMax®, a novel calcium/potassium salt. Food and Chemical Toxicology. 2004. 42(9):1513-1529.
other authors and use a little something from their sites.